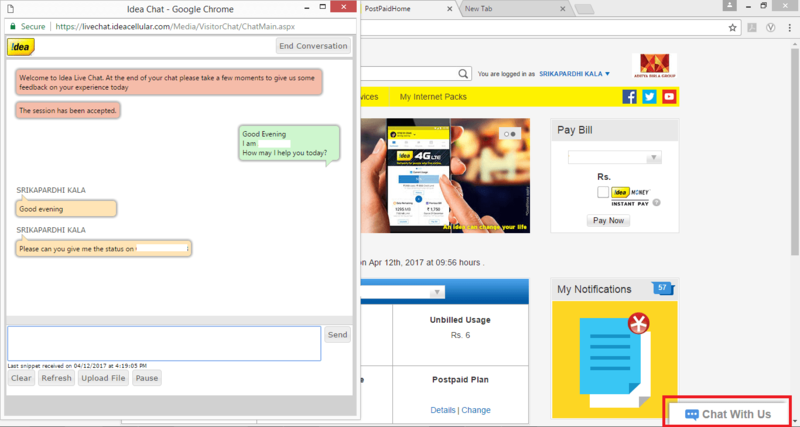 Idea Cellular is now providing customer support right from the website itself. The company has updated its SelfCare portal with a new feature called as ‘Idea Chat,’ with which users can directly interact with customer support executive and can get their questions clarified or raise requests. With the Idea SelfCare portal, customers can manage their account with various features. 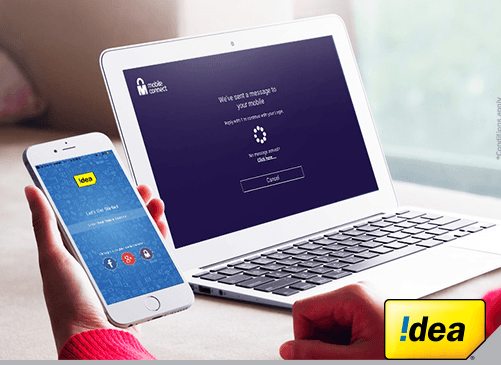 With this addition, Idea is looking to provide customer support right from the website itself, removing the fuss for users to contact customer care and wait in the queue till executive pickups the call. Furthermore, you can track your postpaid account usage like data usage and Unbilled usage. Also, you can check out the notifications sent out by Idea to you from the SelfCare portal itself. For now, after logging into your self care account, you can see a new ‘Chat With Us’ feature. On Clicking that, a new browser tab will be opened, which will connect you to an Idea customer care executive. Nevertheless, when compared the SelfCare portal Idea with that of Bharti Airtel, Idea is ahead after the latest move. But, Airtel has a way better explanation of your account usage. For example, Airtel gives you correct data usage along with per day usage of the previous/ongoing billing cycle. The same applies to voice calling, and the number of SMSes sent as well. Vodafone also has its selfcare portal for postpaid users, but it lacks a lot of features when compared to the Airtel and Idea portals. All said, with this move, Idea is looking to dominate the customer support segment. Expect Airtel and Vodafone to integrate the same feature into their selfcare portals in the near future.